The Paleolithic, or Caveman, diet has gotten a lot of press lately. It sounds similar to the Atkins diet of a few years ago (remember that?) with a few more fruits and veggies added in. 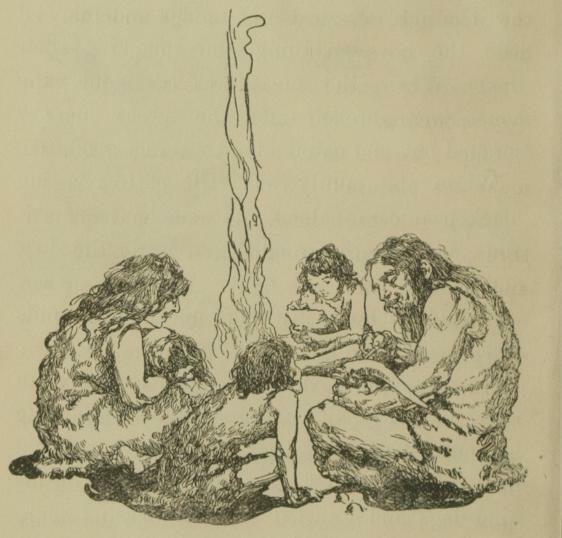 Many proponents claim eating like early man is how we’re designed: Lots of lean meats (especially wild game) and no grains is what the doctor ordered. Or is it? First the positives: The Paleo diet encourages people to avoid dairy and processed foods. Sounds healthy enough. But with about half its calories coming from animal protein, it’s not a wise option. Paleo assumes early humans were mostly hunter, partly gatherer. Women (the gatherers) get little credit and macho hunting men become responsible for catapulting cavemen into civilization. 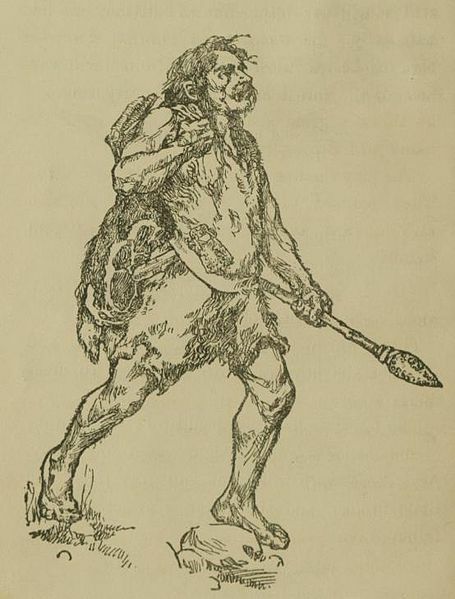 Hunting without modern weapons is difficult and gathering was likely a big part of their diet. If early humans were opportunistic hunter-gatherers, doing what they could to survive, they’d surely eat all parts of the animal. No one I know salivates over boar’s eyeballs or deer hearts (but maybe I just don’t know the right people). The diet also assumes that eating this way was the best choice; it might have been the only choice. And was it healthy? They probably wouldn’t didn’t live long enough to develop heart disease anyway. Back then, life was brutal–and short. Research about our ancestors is revealing that they were mostly plant-eater, with a bit of opportunistic meat-eating (including cannibalism) thrown in. Leaves, fruit, wood and bark likely made up the biggest portion of their diets. We also know that diets high in animal protein are unhealthy. And when we cut out carbs, we tend to add in fat. On the contrary, a whole-foods, plant-based diet can give us the most nutrients, antioxidants and fiber, while avoiding cholesterol and saturated fat. Adopting a Paleo diet is a great way to say “I need bacon” and “this burger is the best thing for my body.” It gives people the green light to continue bad habits. I know a few people who eat Paleo, and none of them remember that coffee and alcohol is off-limits too. When it’s convenient, Paleo suits them fine, but the rules get broken. Funny how people embrace the Paleo diet but also accept modern medicine, technology, and other luxuries. To be Paleo, shouldn’t we eschew antibiotics, anesthetics, dentistry, cars, computers, and central heating? Why is only the food of early humans valued, and not the rest of their simple lifestyles? I like that the Paleo diet steers people away from factory-farmed meats, but free-range, grass-fed meat is a luxury afforded to the affluent. Plus, we’d need an whole other planet for livestock if we wanted to raise all farmed animals in grassy plains. Regardless of where animals are sourced, raising them requires vast amounts of water and fossil fuels. Not to mention the enormous piles of feces they produce. The meat industry is a bigger polluter than all transportation combined. Paleo, by encouraging people to increase their meat consumption, is contributing to the destruction of our planet. From The China Study to PCRM, evidence points to whole-food, plant-based diets as superior to diets that include animal products. Animal-free diets are better for us (reducing risks of heart disease, stroke type 2 diabetes, many cancers, as well as obesity), they’re better for the environment, and they’re much better for animals. Maybe it’s time to evolve. This entry was posted in animal rights, cruelty-free, meat, vegan food, veganism and tagged animals, caveman diet, hunter-gatherer, meat, Paleo, plant-based diet, vegan, veganism. Bookmark the permalink. I agree it’s high time humans evolved……. Thanks for researching and writing this relevant article, I know several people on the Paleo Diet, so I’ve shared it on my FB. You’re quite right, people use it as an excuse to eat meat and don’t mind breaking the rules like coffee and alcohol. People who eat only meat do not live long. Most of the healthiest, longest living people on earth eat a plant-based diet. While eating free-range, grass-fed animals may be better for people, it is not better for animals in the long run. They don’t want to be eaten anymore than we do! You’re doing your body a world of good by sticking to that rule! It’s not a fad, it’s not fancy, but it works. There’s money to be made promoting Paleo, and people will buy into it until the next miracle cure comes along, sadly. Great post about silliness of the diet of the year club and bad side of meat-heavy diets. Nutrition research tells us to eat whole, primarily (or, for vegans, only) plant-based foods. And workout/exercise regularly. It’s that simple. Thanks for reblogging. Yes, it really is a simple equation. Nothing magical. Eat whole (preferably plant-based) and exercise. Paleo makes a ton of money and gimmicks are more interesting than the “boring” facts. Thanks for the shout out, Celeste! I appreciate it. I agree!! Our ancestors died off and evolved for a reason! It breaks my heart when I find out someone I know is eating a Paleo diet. It’s terrible in so many ways! Thanks for commenting! I’m so glad you’re plant-based now. I shouldn’t have picked “deer heart” as my example! But you got my point. It’s . I hope the paleo fad comes to an end soon. It’s so unhealthy and is harmful to so many animals.